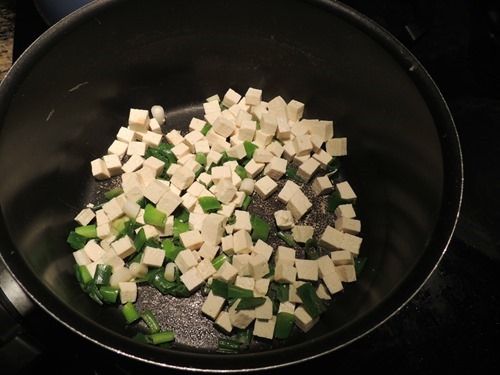 Dave made a stir fry using the chard and some of the scallions, plus tofu. 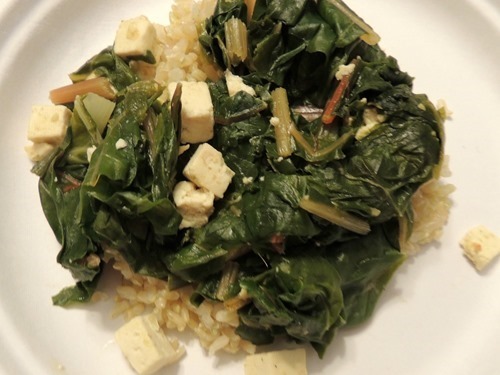 We ate it with rice and it was very yummy! Dave and I both are not huge fans of cucumbers. 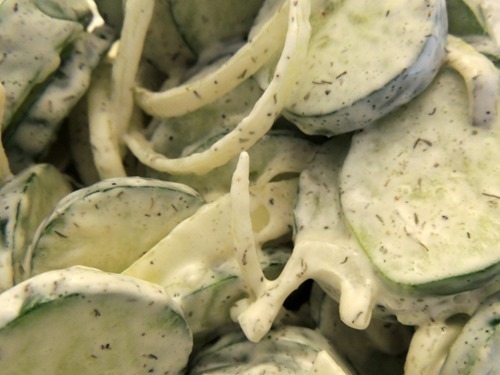 This recipe has been my go to cucumber use recipe since we started the CSA. 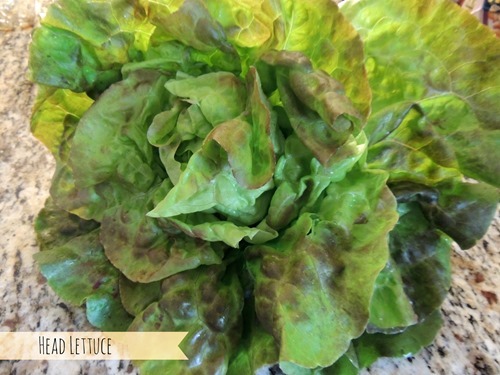 It is very easy – the hardest part being that you are supposed to marinate the salad overnight. This time I made it Friday morning and we ate it with dinner on Friday night, which worked out fine. 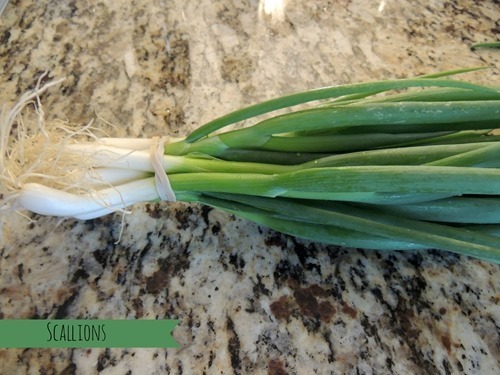 I got this recipe from a cookbook published by the school that my nieces and nephews went to in New Jersey. 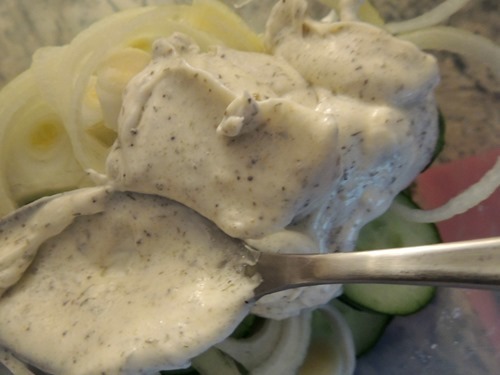 Combine cucumbers and onion. 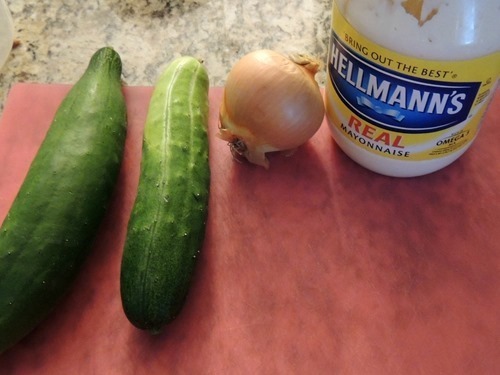 Mix together mayonnaise, sugar, salt, pepper, and dill. 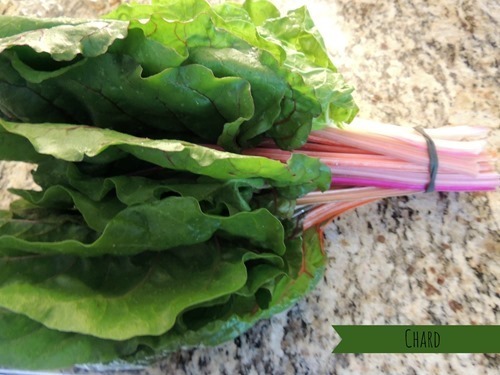 Pour over vegetables and let marinate overnight. 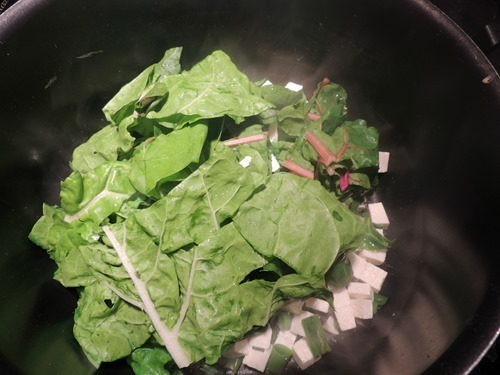 Finally, I used the lettuce, turnips, and remaining scallions to make a salad. 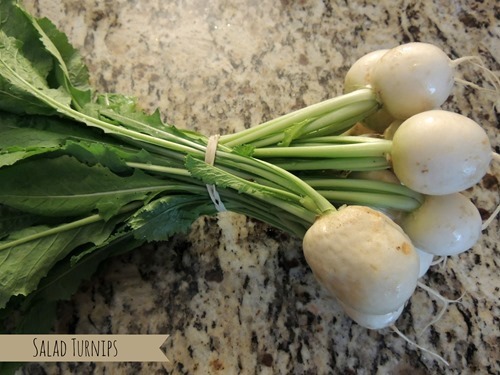 I had never eaten raw turnips before, but found that they taste similar to radishes. 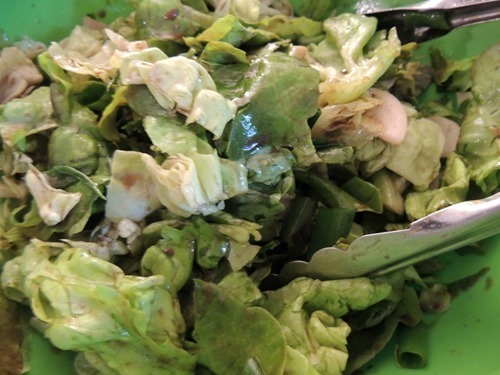 I made Balsamic Vinaigrette dressing for the salad using 1/4 cup balsamic vinegar, 1/4 cup olive oil, a tsp of Dijon mustard, and a tsp of garlic powder. 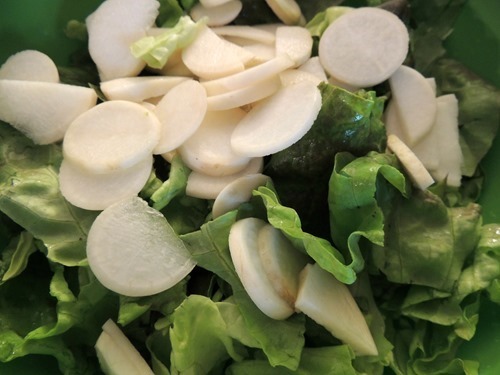 Have you ever eaten a raw turnip? 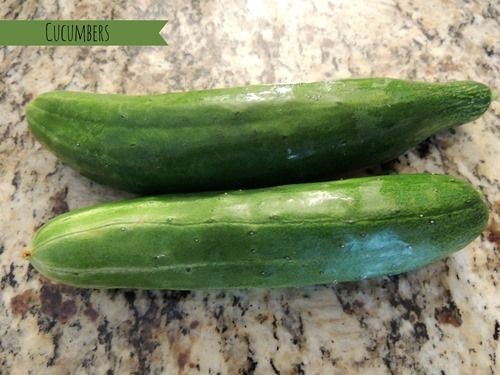 Do you enjoy cucumbers?